When I started my nursing career (many moons ago), I envisioned myself working directly with patients in a hospital setting. But after a grueling year of working on the hospital floor, I decided to switch gears and try a desk job, specifically as a Prior Authorization Nurse for the Texas Medicaid Program. In this position, I approved nursing visits and medical equipment for Medicaid patients. However, after a year and a half of being on the phone, I decided to make a lateral move within the Medicaid Program, and I became a Surveillance and Utilization Review Nurse where I reviewed medical records from doctors and clinics to see if the services billed were medically necessary. Sadly, I didn't get to work from home in these positions, but luckily for you, with new technological advances many of these medical insurance jobs can be done from home! And don't worry, you don't need to be a nurse to work in the medical insurance field. My neighbor, (who is not a nurse), works from home for an insurance company overseeing workers' compensation claims. There are tons of medical insurance jobs like Medical Coders, Appeals Coordinators, Claims Adjustment Reps, Auditors, Underwriters, Sales Reps, and lots more! 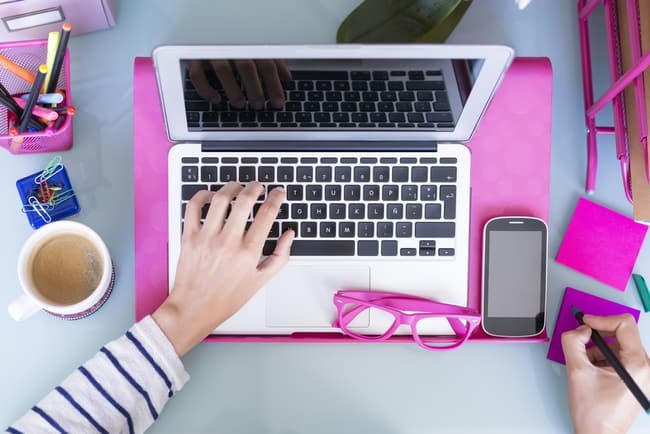 If you're looking for a telecommuting position within the medical insurance industry, here's where to find work from home medical insurance jobs. One of the nation’s premier healthcare benefits providers, Aetna hires for a wide variety of telecommuting positions. On their website, just search the term “work at home” and results will be filtered with a YES or NO for potential telework positions. They offer a variety of positions including Clinical Consultant, Health Coach Consultant RN, Coding Quality Auditor, Case Manager, Sr Informatics Analyst and many more. Aetna offers its employees a comprehensive benefits package which includes PTO (paid time off), health and life benefits, 401(k), an employee stock purchase program, tuition assistance, and much more. Allstate is the largest publicly held company of its kind in the US, puts a big emphasis on giving back to their communities. Allstate’s health and wellness benefits for employees are comprehensive with an added focus placed on career development. American Family, headquartered in Wisconsin, offers many work-at-home insurance job opportunities. They also have corporate staff positions as well as positions within agencies across the United States. When searching their website, refine your results to find work from home opportunities using search terms such as “remote,” “telecommute” and “work from home.” Many options are open to candidates in a variety of regions and locations. Insurance Sales Representatives average about $31,000 per year, but this salary can vary widely based on sales commissions. For corporate positions, American Family’s benefits package covers health, career development, work/life balance as well as financial planning. Anthem and Blue Cross Blue Shield are some of the most recognized names in healthcare. To find their potential work from home opportunities, search using the terms “work from home” or “remote.” They offer many different opportunities to work from home, including many in the medical field. Salaries and compensation vary by position and experience. For example, a Nurse Reviewer earns an average salary of $53,000 annually. A Manager 1 Case Manager position (which requires an RN certification) averages around $58,000 per year. Anthem also offers a variety of non-medical positions. Anthem’s Total Rewards benefits package includes health and wellness, work/life balance and career development. Cigna has been providing quality healthcare to people around the world since 1982. They take great pride in a strong sense of corporate responsibility. Finding remote opportunities with Cigna is simple but requires knowledge of their job search function. On the top right of this screen, click on “advanced search.” Refine by country in location and select “Work from Home Jobs.” There are a wide variety of positions available. Salaries vary based on area and experience and range from $33,000 to $90,000 annually. Eligible employees can qualify for full health benefits as well as additional benefits like life insurance, disability insurance, tuition reimbursement and even life coaching. A not-for-profit based in New York State, Healthfirst provides a range of plans for all income levels. They are committed to providing quality healthcare at an affordable cost. To search their remote job opportunities, just click the “telecommute” box under Locations on the left side of their Jobs page listing. Positions vary from clinical opportunities to work in medical records and care coordination. The salaries offered vary based on position and experience and range from $30,000-$80,000. Healthfirst offers employees a Total Rewards Benefits Program which includes health and disability insurance, tuition reimbursement, career development and additional benefits. Humana is one of the country’s largest healthcare providers. Humana focuses on promoting health and wellness as forms of prevention. They offer incentive programs for customers who adopt healthy lifestyles including free coaching and premium reduction. To find their work-at-home opportunities, check the box to check that says “Virtual/Work at Home.” These positions and salaries also vary widely. Many of the virtual positions are specific to region and location as they require reporting to a home office. Humana also offers competitive employee benefits including healthcare, 401K plans, career development and life and disability insurance. UnitedHealth Group has provided health insurance products since the 1970s. Today, they pride themselves on being heavily innovation-driven and using technology to provide the best possible service. To search for remote work, type “telecommute” into the first box on the left of their job listing screen. Positions vary and include opportunities such as Senior Reporting Analyst, Health Plan Pharmacist Account Manager, and Appeals Representative. Salary also varies widely, with hourly positions starting around $16/hour. Many of these positions require residence in a specific state or area but offer telecommuting opportunities within those areas. UnitedHealth Group places a considerable emphasis on employee satisfaction – making it clear that their benefits plan is just the beginning. As I mentioned above, I worked on the Medicaid Contract here in Texas. Each state runs its own Medicaid, Medicare, and CHIP programs. To find these jobs, you can search on The Centers for Medicare & Medicaid Services or a job site like Indeed or FlexJobs. I prefer to use FlexJobs because you can narrow down your search by insurance jobs within the medical field, which are 100 percent telecommuting. FlexJobs also hand screens all of their jobs, so you know each job is 100 percent legit. Many insurance companies offer a disability insurance division, but individual companies specialize in disability coverage. These groups assist workers in compensation for accidents and time they may be out of work. There are plenty of work-at-home opportunities in disability insurance. Aflac, which stands for American Family Life Assurance Company, is home to the famous Aflac duck. Aflac does not have a specific work from home option so just perform a search and filter for the terms “work from home” or “remote” jobs. They offer a number of work-at-home opportunities for interested employees. Aflac has been on the list of “100 Best Companies to Work For” in Fortune Magazine for 16 years running. They are committed to providing substantial benefits and a supportive work culture. MassMutual has offices around the country and has been in business since 1851. To find work-at-home jobs, find the location menu drop down and choose “Remote” which is the last option on the list. Available positions range from Retirement Education Specialist, Compliance Specialist, and Underwriter Consultant. MassMutual does a lot of financial planning, so it’s an excellent opportunity for those with financial planning experience. The Retirement Education Specialist position averages $70,000 per year and the Compliance Specialist position averages in the low $80,000s per year, although salaries vary by position. MassMutual states that their salary and benefits are the “best of the best.” They offer a pension, 401(k), health benefits and more. Sun Life Financial offers employee benefits products to businesses around the United States. To find work-at-home opportunities with Sun Life, use “telecommute” in the search box. In the past, there have been many options to work remotely with this company although the position availability varies. Sun Life Financial offers comprehensive benefits to employees that go beyond health insurance to include employee wellness and financial benefits. 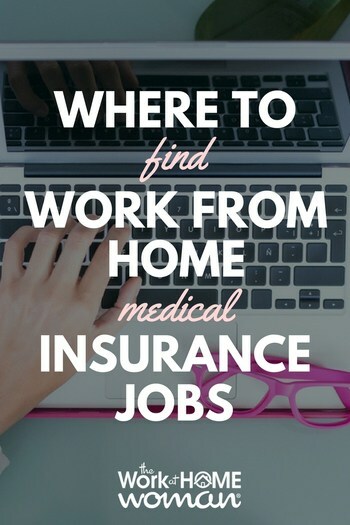 As you can see, there are a ton of work-at-home job options in the medical insurance industry. So, if you’re interested in working an insurance-related work-at-home job, there’s no better time to explore these remote opportunities! Ohh, thanks for letting me know. I’ll have to update the post to reflect that change. Ive been seeking for a home based jobs that is related to insurance because that was my past work experience. Would you recommend some insurance website that is open for a home based employee. All of these companies hire home-based employees. Good luck on your work-at-home job hunt! I have been wanting to do what your neighbor does Worker’s Compensation claims but haven’t had luck in getting with a company that trains w/o the college degree and other credentials most companies want. Would you happen to know where I can possibly get training. You can always work your way on up the ladder. Perhaps start as a customer service rep or medical biller and coder, then prove your value, and work your way up to more advanced roles. Companies love to hire internally! I found this book on Amazon (haven’t read it), but it could be helpful in getting your foot in the door – http://amzn.to/2jAJC94 (aff link). I’m writing another post on home, auto, and life insurance jobs, and many of those positions are more entry-level — stay tuned.